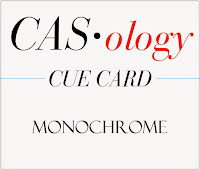 This week's CASology Cue Card is Monochrome! During the week, the DT had various discussions about the meaning of monochrome - all one colour? Different shades of one colour? Black and white only? 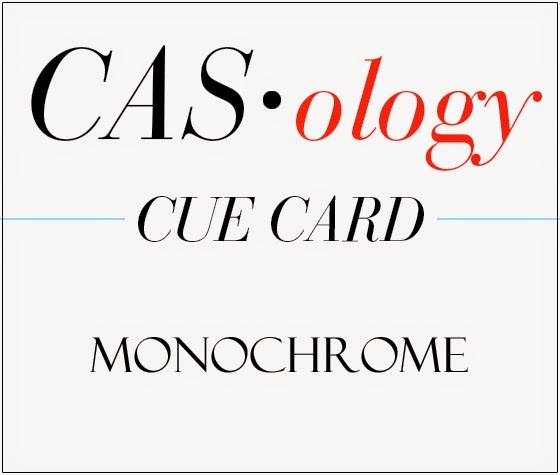 What we agreed is that monochrome does NOT have to be monotonous! I decided to use blue and to also play along with One-Layer Simplicity #13 - You blend. 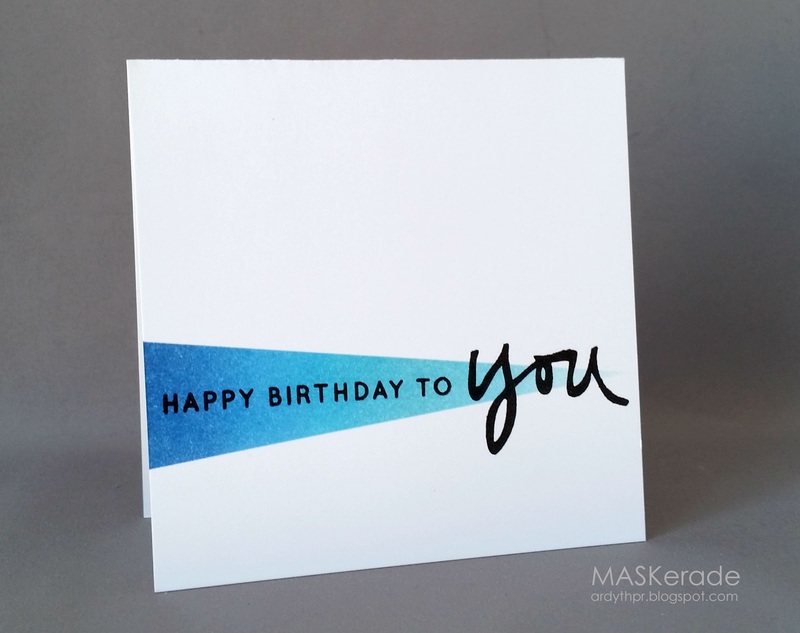 I masked a triangular portion of my card and sponged on various blue distress inks. The arrow shape points your eye from left to right, but by using a big Technique Tuesday YOU, the card still feels balanced. Now it's your turn - we can't wait to see your creations for this challenge! Here are links to the blogs of the rest of the DT members - check them out for more inspiration! That is super sharp looking, Ardyth. Your balancing and blending on your cards is amazing! Gorgeous! The blue part looks like a spotlight! WHat a great masking technique and perfectly paired sentiment to go with it. Love this design...so versatile! You do such a great balancing act, Ardyth. No wonder we're draw into your cards. Ahhh...you definitely would have thought I had seen your card before making mine last night! Great card and a great take on the challenge! Gorgeous inking! Crisp edges and perfectly blended as always and I love how it leads to that big ol' you! Love the gradations of the blue!!!!! so pretty! I always love your cards...so clean and simple...yet always make an impact! LOVE the way this inking moves the eye across the card...beautifully done! Wow! Perfect! Love the balance! Ardyth, your sponging is perfect! Tracey mentioned that during your recent crafting get-together, you shared your technique! Please, please: can you do so here (photos, videos, anything and everything!) - but only if you have time. My attempts are...well, bleak! Hey Ardyth!! I love how that blue color fades to the you!! Nicely done. Striking and impactful! Would love to get this birthday card! LOVE THIS!!!!! You totally rock, Ardyth. Seriously.